The woodruff is an herbal plant that grows in the undergrowth beech and that blooms in May, releasing a typical and pleasant aroma. The shape of the flowers (white) vaguely recalls that of many little stars and this is why the plant has always been commonly known by the name of Stellina odorosa (scented star). The scent develops more slowly so that it can be smelt when the plant is fast dried out or better still if completely dehydrated. The delicate aroma of woodruff develops even when it is mixed in the fodder and persists even in the milk of those cows that have been feeding with these fodder. Therefore aroma and flavour characterize the plant so that in Germany and in Eastern Europe today is preparing the so-called May wine (Maitrank), which is only an infusion of woodruff in bloom in sweet white wine. Even the liqueur industry makes use of this herb to flavour Vermouth, aperitif, digestive and herbal liqueurs, as the plant, as well as to give liqueurs a pleasant aroma, has marked digestive properties. 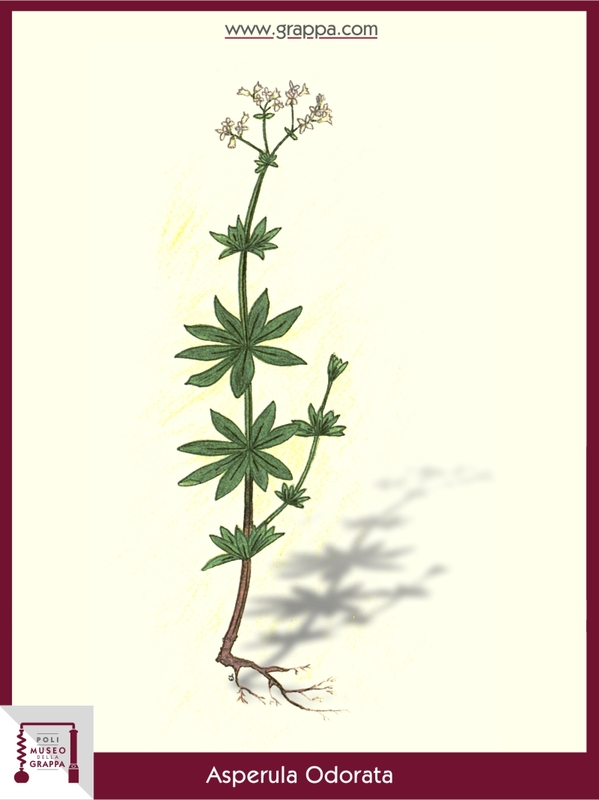 The habit of using the woodruff as a flavouring of wines and spirits after all is not new; already in the Herbarium Novo Castor during the seventeenth century you can read: "Drinking wine generates joy and hunger and helps to digest." The particular features of this herb, which are the aroma, flavour and digestive properties persist of course in one woodruff Grappa.